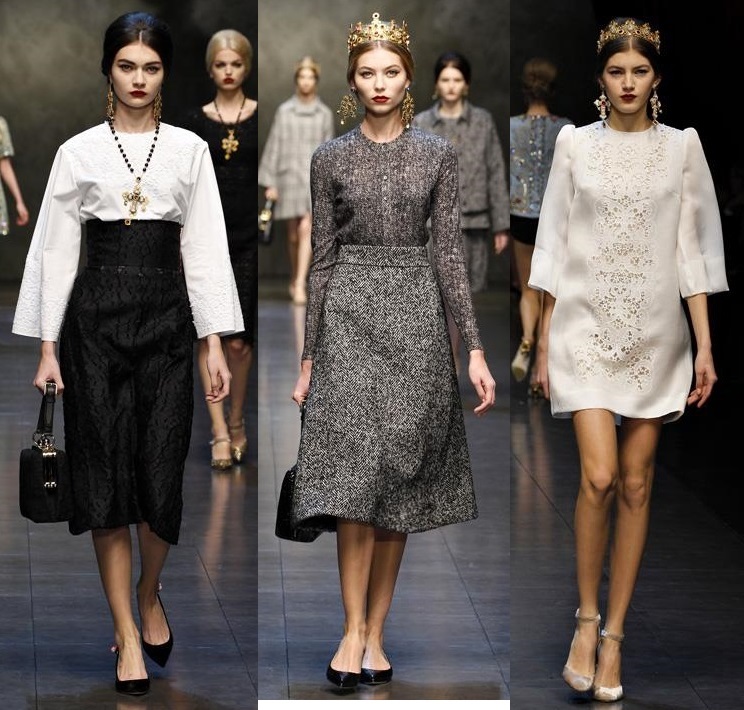 This collection for fall/winter 2014 by fashion designers Domenico Dolce & Stefano Gabbana has completely charmed me. 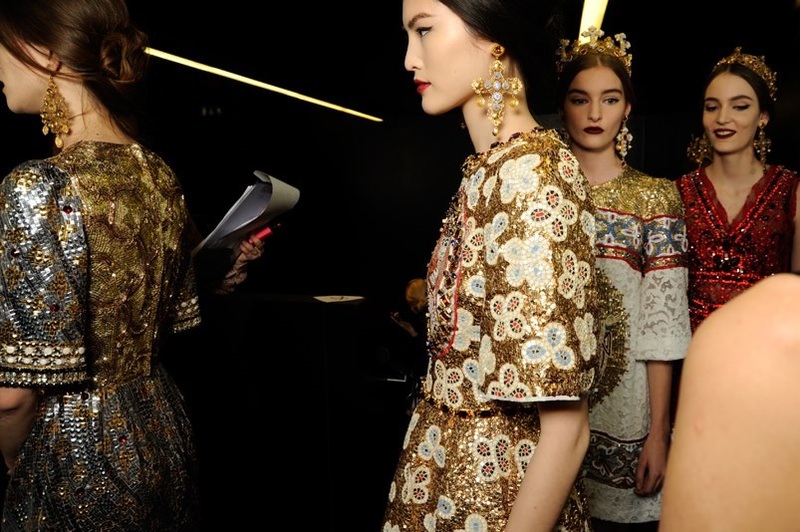 They were inspired by the mosaic of Monreale for this collection. We see a lot of gold, red, white, lace and sequins. I love it. Nice day and see a few backstage pics. Táto kolekcia jeseň/zima 2014 od návrhárov Domenico Dolce & Stefano Gabbana ma totálne očarila. Inšpirovali sa mozaikou Monreale. Môžeme vidieť veľa zlatej, červenej, bielej, čipky a lesku (flitre, korálky, kamienky..). Milujem to. Pekný deň a pozrite si aj pár fotografií zo zákulisia. Great collection. I love these! Thanks for sharing! I'm such a huge fan of D&G so I loved looking at each of your photos! Hi dear, i agree with your thoughts on this sensational collection, love the baroque appeal and intricately designed dresses. Wow! fabulous show!!!! 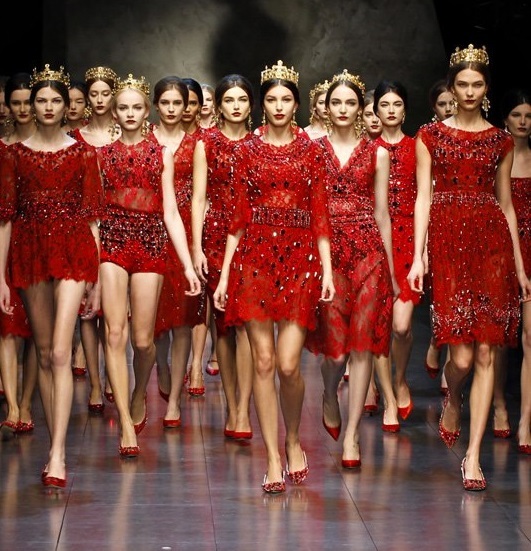 I love Dolce & Gabbana!!! flat shoes (red), in the first picture. 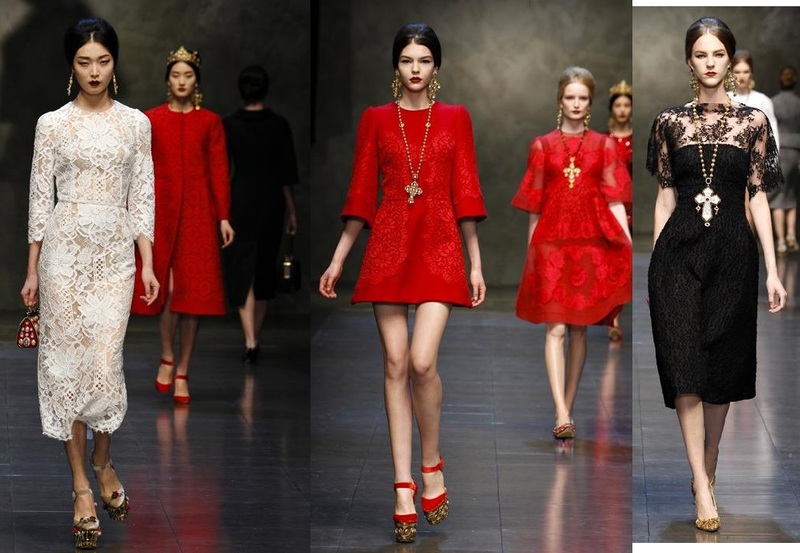 I loved D&G they always have such amazing lace pieces! love the red shoes! xO! Wow! The white lace dress is amazing! 2014?!?! I'm not even used to 2013 :))). I heart Dolce and Gabbana.. I am in love with this collection. The details are extraordinary. Wow, amazing fashion show!! Love leopard&red shoes! Love the Dresses! Adorable Collection! Dolce was just amazing... I was speechless when I saw the styles! Wow so gorgeous! This collection is stunning! I think I need to watch the fashion show now! Great post! Very rococo as always! But i'm truly in love with its red dresses!! Omg! They are gorgeous!! Thank you and to you too! Nice post! 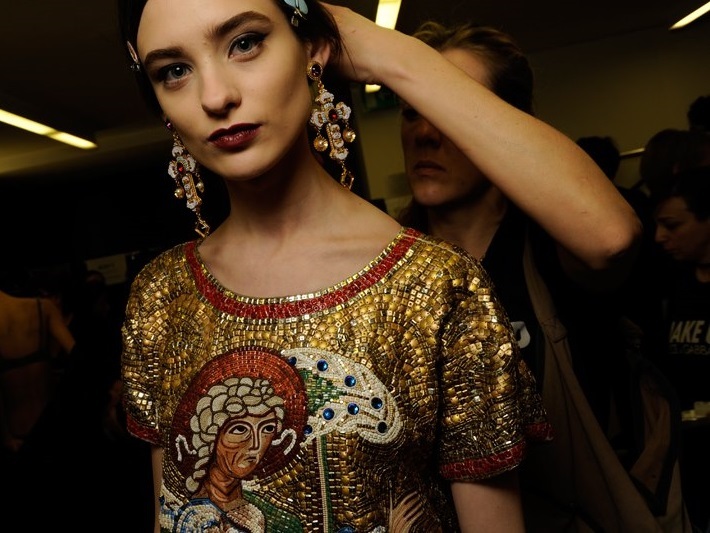 It's so classical meet such a fairy accessory for this collection,.. D&G digging up! An amazing collection! 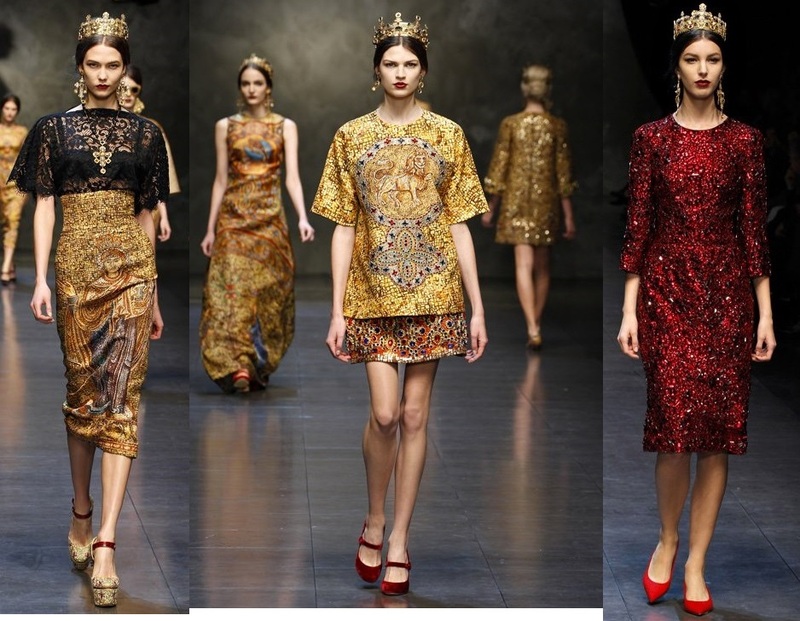 Loving all those red and gold dazzling and ornate dresses! This is an absolutely stunning collection!! I waiting for you for a special Post!